A few weeks ago, I posted a scale comparison between comet 67P/Churyumov-Gerasimenko and the city of Charlotte, North Carolina, the city I live in. It was wildly, offensively inaccurate: somehow, I shrank the comet by a factor of five. 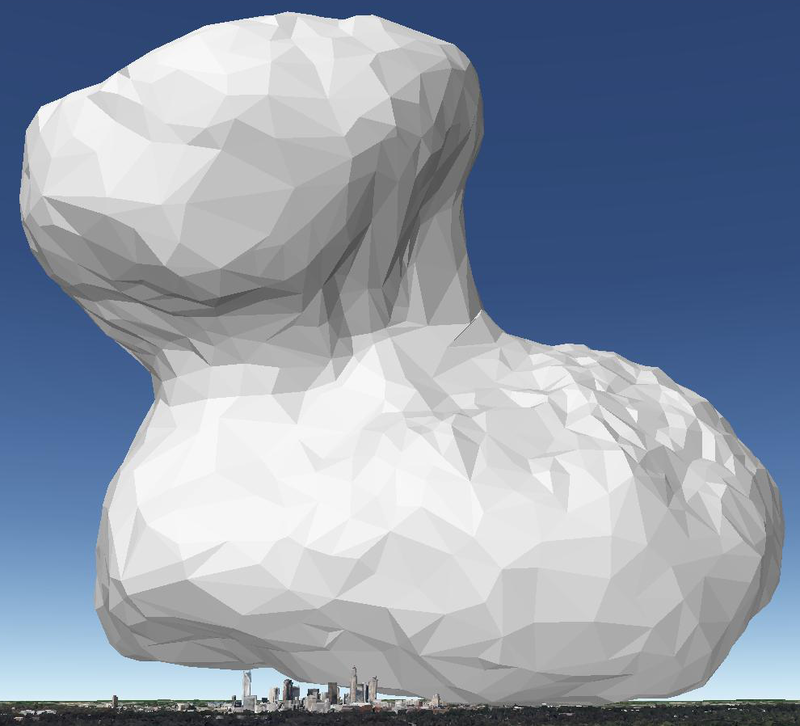 Well, now that the ESA has finally released their shape model for the comet, I can just import the model into Blender, convert it into a .dae file, scale it until it’s (approximately) the right size, and stick it in Google Earth to get an idea of the comet’s scale. → All kinds of explosions. Thanks for the gigantic legless puppy image…. 😉 That’ll be stuck in my head now for the rest of the day, and possibly into tomorrow, and the next day..